Shanghai’s very own Starbucks Reserve finally opened this past week, and lines are out the door to get into this coffee wonderland. I do find myself intrigued by Starbucks’ unique locations around the world but this time especially, I was enamored by Shanghai’s Starbucks Reserve experience. 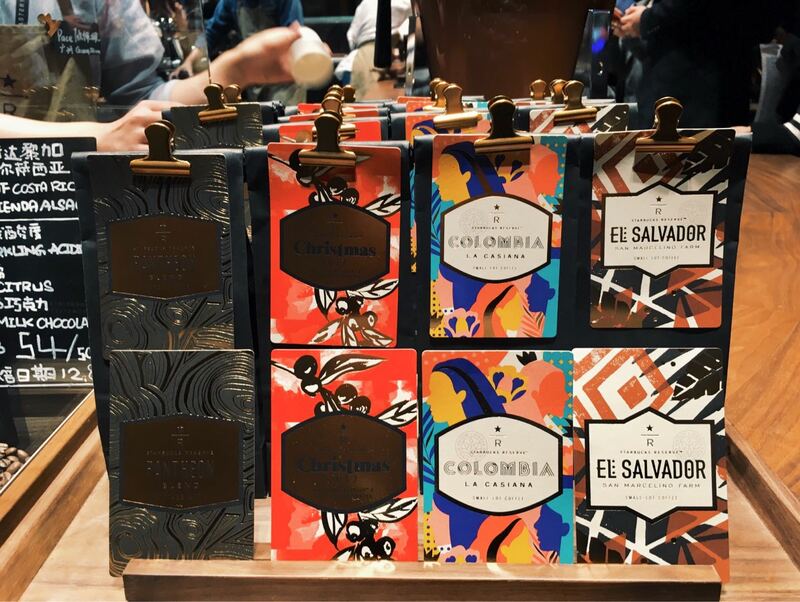 It was indeed an experience to visit, especially since Starbucks Reserve in Shanghai paired up with Alibaba to create an integrative augmented reality (AR) experience through the Taobao APP. Each step of the coffee roasting process can be seen through AR. Even better, it was amazing to listen & watch the overhead ‘Symphony’ pipes transfer roasted coffee beans to the silos. Every time the beans passed through, it sent a satisfying jingle (and a wave of applause) throughout the floor. So what was my first impression? Jam packed, beautifully designed, and full of holiday cheer. The 2017 Christmas blend was a favorite among visitors–possibly because it includes a blend of rare aged Sumatra! I will admit I don’t drink Starbucks often in Shanghai, as I normally opt for local coffee shops. However, the Starbucks Reserve Roastery is definitely worth a visit if you’re in Shanghai because the entire in-store experience is Starbucks branding at its finest. What stood out the most from my visit was the attention to detail and service. Each experience area was carefully crafted and the service staff were transferred from various Starbucks locations all over the world, so world-class service is not an overstatement. Other highlights include browsing the Handpicked at the Roastery marketplace and chatting with the roasters at the Pairing Bar. Because I was quite keen on finding the rare Aged Sumatra blend for my friend Lucy (she tells me it’s Howard Schultz’s favorite blend), I chatted up a couple of the baristas at the Pairing Bar and they explained that every week, the Starbucks Reserve Roastery in Seattle help determine the blends to roast and send to Shanghai. Good news, Aged Sumatra could be something they decide on. Bad news, it is… rare. I was also pleasantly surprised by the Teavana experience bar as the team there was also extremely professional and friendly. I’m not an avid tea drinker so listening to their careful brewing process, which included a detailed explanation of what temperature of hot water I should ask for when inquiring about a refill, was fascinating. All in all, I think it’s incredible the experience Starbucks was able to build in this Shanghai location. I’ve never visited the Seattle one and was told it’s quite different–would love to know about people’s experience there as well. It’s now on my list for 2018! Wow, such a fancy Starbucks! I’m also curious about their traditional-style shop in Kyoto. They do keep things interesting!